The Red Bull Global Rallycross short track series has closed and locked its doors and turned out the lights as it has stiffed tracks and facilities from coast to coast. When the Red Bull Global Rallycross (GRC) series shuttered its doors for the season last year, everyone thought it would be back again in 2018 with its teams ready to charge across the country in search of the factory or driver championships. That vision has been turned on its head as the series has abruptly pulled the plug. Leaving a trail of unpaid bills strewn in its wake, the series has stiffed tracks across the country and the state of Michigan and Canada to the tune of at least $105,000. 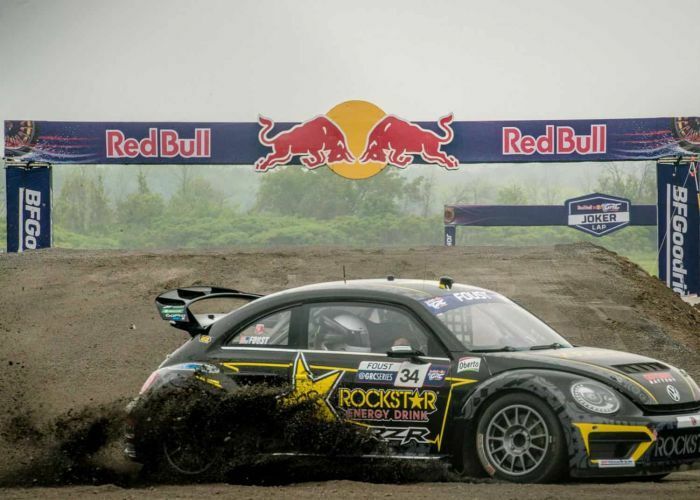 Redbull GRC Race Series Shuts Down. Owned by Colin Dyne, the sanctioning body that promotes the short-course rally series told tracks on Tuesday that it wasn't pushing the series anymore. The series paid only a portion of the bill it owed to Thompson Speedway in Connecticut. And, blaming the state of Michigan for weak ticket sales, Dyne and GRC didn't pay a $76,000 2015 tab to the state of Michigan for the use of Belle Isle Park. According to the Detroit News, Michigan officials are threatening legal action over the unpaid fee owed to the Department of Natural Resources. The park’s management says it has made many attempts to collect the debt. The park had hoped to fund improvements, such as bathroom upgrades and sidewalk repair, with the fee. Meantime, Autoweek, the leading weekly motorsports publication, said Tuesday that Jon Hoenig, owner of Thompson, indicated he has been trying to settle a $30,000 debt with GRC/Dyne. He noted that GRC eventually sent a check for $6,000 of the $36,000 that the series owed for the use of the facility. The bulk of the fee was from a revenue-sharing deal for the event last June. Once he received the initial check, though, GRC ceased all contact with him. Hoenig indicated that the event proved far more costly than the $30,000 that was missing because the series took over his whole facility for several days leading to the weekend GRC event, This caused him to lose the use of the oval for testing and the road course for a track day. Under normal circumstances, he indicated the revenue from these sources could be up to $50,000 a week so that no there is nothing to show for the time the GRC event cost him. "They have a reputation for not paying their bills," Hoenig told Autoweek. He said that they have taken of smaller facilities like his. According to the publication, the first signs there were any problems came in February. At that time, the Rockcliffe Flying Club, which hosted the GRC Ottawa, Canada event, claimed there was an unpaid debt of $20,000. Dyne said it was an accounting issue and the Flying Club received a check for the amount. The check arrived within eight hours of the time that notice of the unpaid bill surfaced.